Last week was my first time trying nail wraps, I know I'm super behind on this trend. 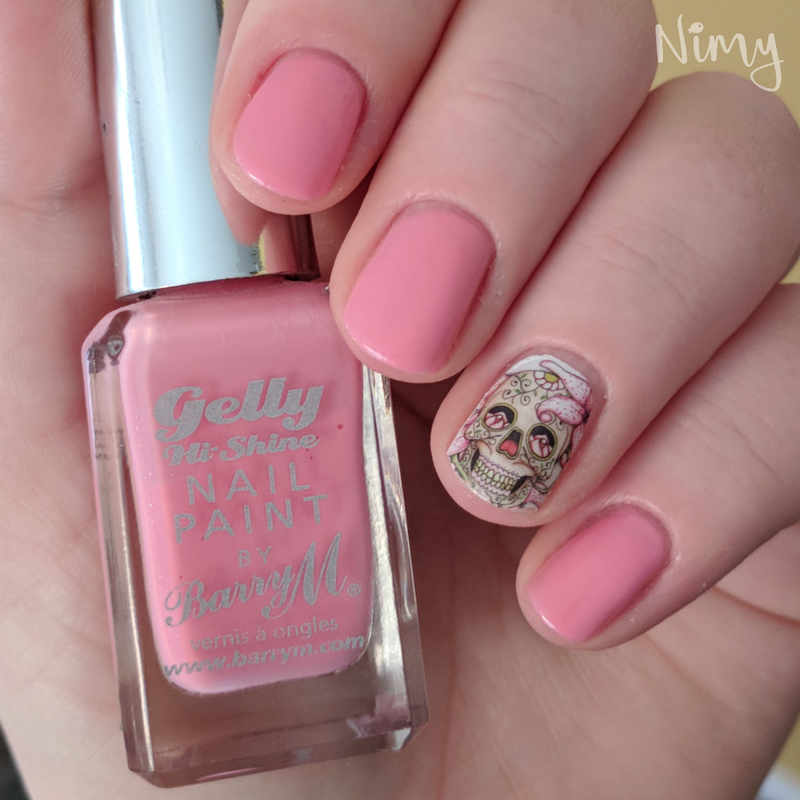 I just love painting my nails so much I never saw the fun in sticking designs on rather than painting them, and it's seems like a bit too much hassle. 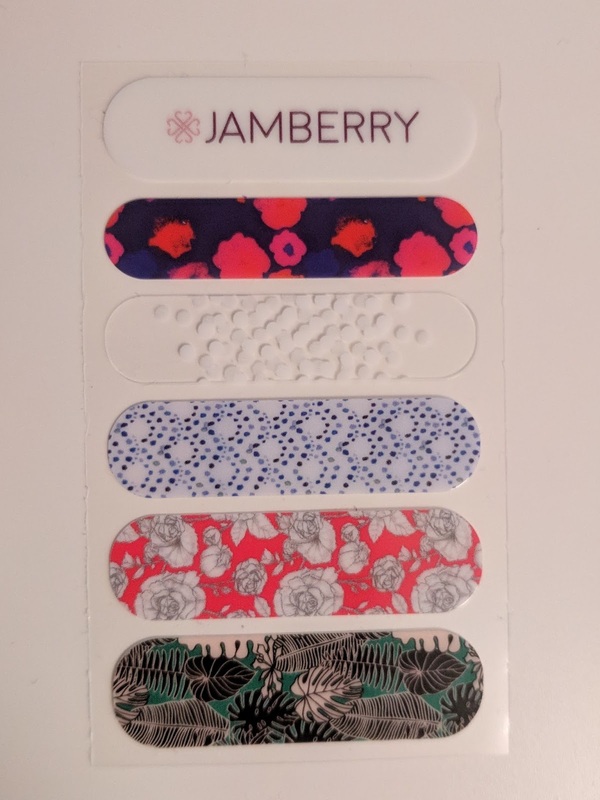 Then a few weeks ago Emily, @nailmeright on Instagram, sent me some nail mail which included nail wraps by Sparkly Nails, and the week after that I got sent some Jamberry nail wraps to try... it seemed like the universe was telling me it was finally time to try them. 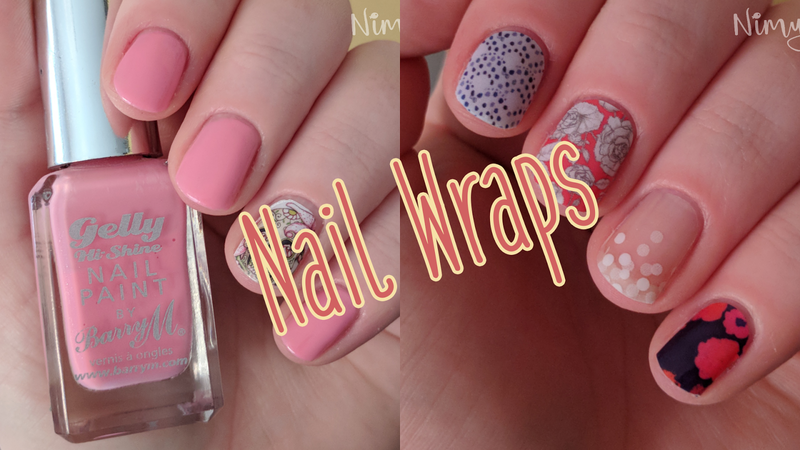 Now the two sets of nail wraps I got were very different in application, and I'm glad I have a chance to try both. 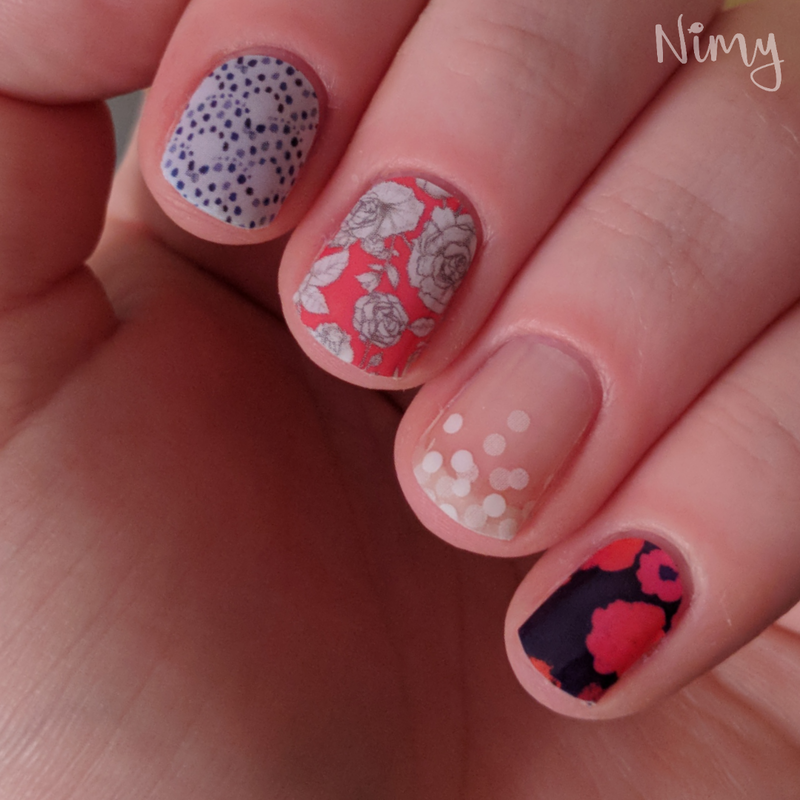 First I tried the Jamberry wraps, these were super easy to get the hang of, these apply using heat. They come with pre-shaped rounded ends, so all you do is cut them straight in half, peel them off, heat them for a couple of seconds with a hair dryer and sticker them on your nails. Every single one went on perfectly first time, and were easily smoothed out. The rounded ends also were a perfect fit to the shape of my nails. Next I tried the Sparkle Nails wraps, and I struggled a bit. 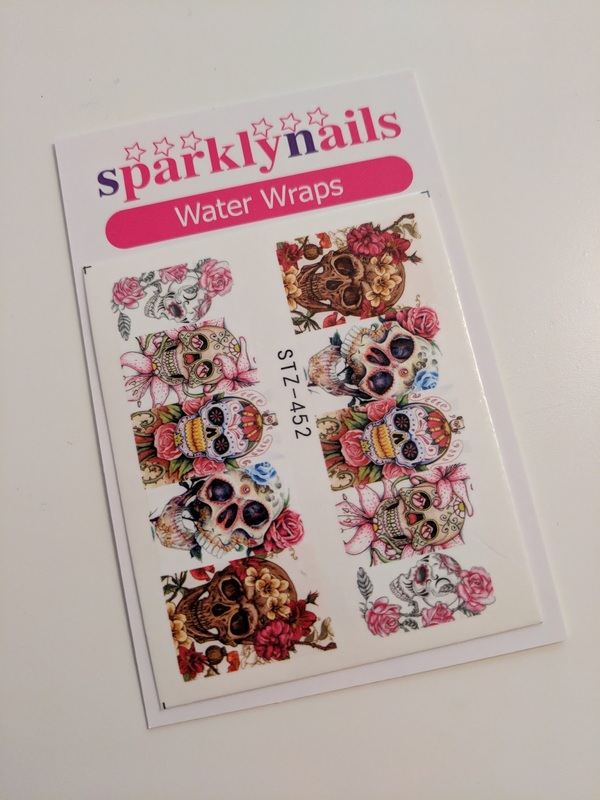 The application for these requires water, you remove the clear film, dip them into water for 15 seconds, then the design slides off the card backing and you can place it on you nail. These don't come pre-cut, so you do have to cut them to the shape of your nail, which can be both a pro and a con. Pro, if you have a nail shape that isn't perfectly oval at the cuticle - you can make sure it fix perfectly. Con, if you are like me and prefer an easy way out of doing something fiddly. The first time I did it, it applied great, clearly beginners luck, because then I tried to do a second one and it wouldn't stick to my nail, it just kept sliding around... I'm 99% sure that this was down to me being an inexperienced idiot, and not the wraps!! I bailed on applying the second one and stuck with one accent nail instead of the two I was planning. That one that I managed to do looked beautiful, these wraps are stunning, I love the skull designs. I'm sure I will get the hang of using water wraps, but coming from a beginner's point of view the pre-cut heat activating wraps are the way to go if you want your nails done quickly and on the first try. Do you use nail wraps? Have you got any tips for me on applying the water ones easier? What other brands of nail wraps would you recommend me trying?